My knowledge of electronic music is very weak and I don't possess a particularly good vocabulary to describe it. This album, however, is very good. 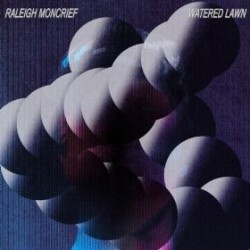 I would classify Raleigh Moncrief as being somewhat experimental compared to a lot of the electronic music I hear. It's not particularly dance oriented but the songs do have strong beats and some really gross bass. Acoustic guitars play lazy lines while washes of synths fade in and out. Beach Boys-esque harmonies drive whole songs and lend the album a singer-songwriter quality. Plus you have to respect a DJ that remixes and samples Tera Melos songs. Hop Along - Is Something Wrong? Zona Mexicana - Eponymous 10"